Tonjiru is one of Miso Soup which is popular in winter season. There are 2 types of Japanese soup which is well known. One is Miso Shiru (Miso Soup) and other one is Osuimono (Clear Soup). Most of them are foods to drink even they have some ingredients, and also they are usually a side dish. But I would like to say this Tonjiru (Pork Miso Soup) is a soup to eat. 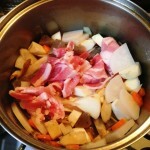 It has many kind of root crops and pork. And it can be a main dish. The name “Tonjiru” means “Pork Soup.” The main ingredients of Japanese traditional soup are vegetables or foods made from vegetbales such as Tofu (Tofu is made of soy beans). 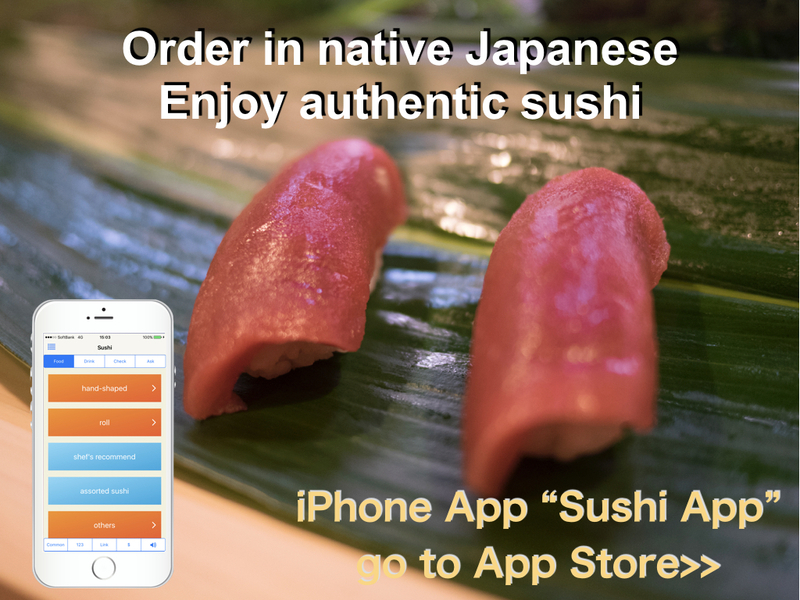 However sometimes Fishes are used, using meat is very rare. 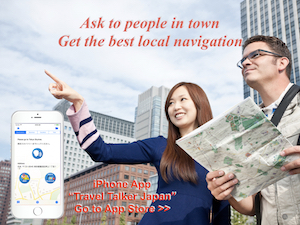 Cause this style is very characteristic, this name is named after Pork (“Ton” is a sound of Kanji which means pork). 1) Cut the Pork as a bite size. 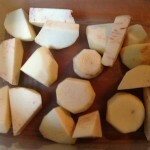 Peel the skin of Radish and Carrot, then slice about 5 to 6 mm width and cut into 4 pieces. Cut Green Onion about 1cm. 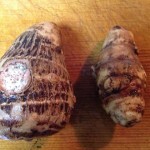 2) Peel the skin of Taro and cut about 2cm. 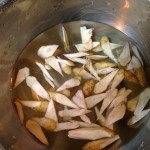 Run salt to remove stickiness of Taro, then wash with water. 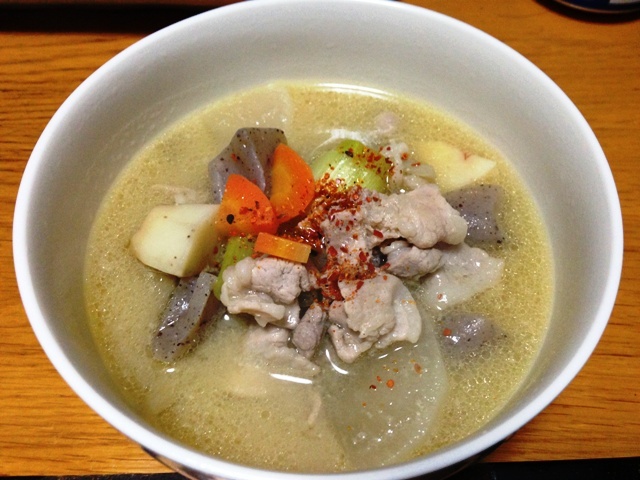 3) Cut Konnyaku with spoon. 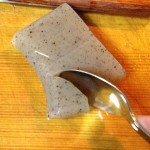 (Using spoon is better to add taste to Konnyaku) It would be better to boil Konnyaku in hot water for about 2 or 3 min. It will remove the smell of Konnyaku. 4) Wash Burdock (Gobou) with water well because it has mud. Slice about 2 or 3cm long and 0.5 to 0.7mm thickness. (Slice it like sharpen a pencil). 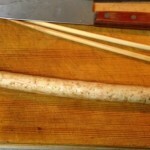 Place sliced burdock in a water for a while (about 5 min. ), and change water. Repeat this 1 or 2 times. 5) Pour cooking oil in a pan and heat. The amount of oil is to cover the bottom of the pan. 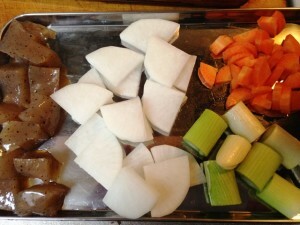 6) Heat Konnyaku, Radish, Carrot, Burdock and Taro in the pan. Then add Pork and heat until the color is changed. 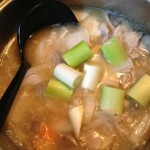 7) Add Broth and Kelt. Simmer it for a while. 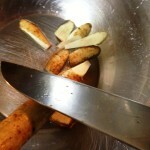 Once it is boiled, weaken the heat and remove lye. 8) Add a half amount of Miso and simmer until ingredients becomes soft. 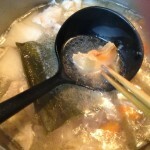 When adding Miso, put miso in ladle and combine with broth step by step. 9) Add Green Onion and rest of Miso. Serve it in a bowl. If you have Shichimi spice, a Japanese traditional spice, it will be better to sprinkle a little. (like a photo on top). You can use any other vegetables such as potato or sweet potato instead of Taro. Also however I wrote “Green Onion”, you can use Leak. In Japan, we have several type green onion. Big difference regarding looks is thickness, fat or narrow. Naganegi is fat green onion and it is like leak, but they are not same. I’ve written the ingredient as Leak in this blog. It means Naganegi. 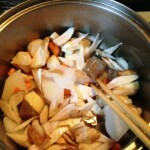 It is the seasonal food in winter for me (and I guess many Japanese people will agree). 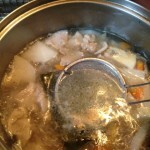 Because it is using pork, the fat from oil will cover the soup. It will keep hot longer, so it makes us warm. It is a reason why it is cooked well in cold winter. In Japan, now it’s winter. I am looking forward to introducing more winter seasonal foods soon.